At Celsius Windows, we are proud to be the best double glazing installers in Edinburgh today. Whether you are looking for new windows and doors or just windows or doors, you can come to us for outstanding service and quality glazing. We offer a range of uPVC windows and uPVC and composite doors giving you the freedom to choose the style that best suits your personal taste and your requirements. 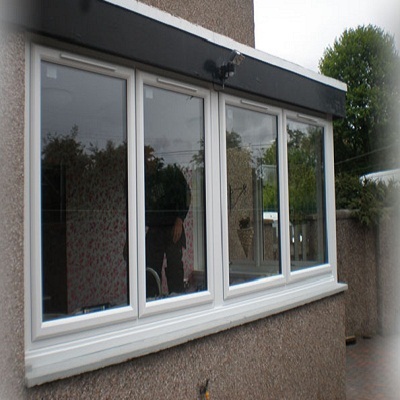 We have installed countless uPVC windows and doors across the region and we would be delighted to speak to you if you are looking for double glazing for your property. Installing new windows and doors can add value to your property and also improve the warmth and comfort inside your home – something that will be very welcome on those cold winter nights! At Celsius Windows, we understand that you are looking for a great deal on your windows and doors. That is why we will always give you our very best price. You can also expect great quality as well as great prices and our expert glazing team will ensure you are nothing short of delighted when it comes to the fitting of your new windows and doors. Speak to our team today to find out more about our services and to find out more about our great range. We are standing by to speak to you today so why not call to find out more and to tell us what you are looking for? We will arrange a free survey at your convenience and provide you with a cost effective quote that we are sure you will be delighted with. It’s never been easier to arrange double glazing with the best double glazing installers in Edinburgh. We work to the highest standard and quickly too. We will aim to have your windows installed as soon as possible so that you can get back to normal life without any further disruption. We will take away your old windows for you and ensure all areas of your property are left clean and tidy. Speak to us today to arrange your free survey and quote. We would be delighted to assist!